William Doonan is a mystery writer and anthropology professor in Sacramento, CA. He has written lots of stories- you can have a look by clicking the "Short Stories" button at www.williamdoonan.com. 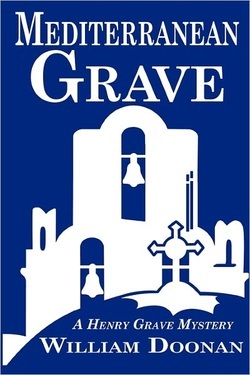 He has also written four mystery novels: Grave Passage, published in 2009; Mediterranean Grave, published in 2011; and Grave Indulgence, published in 2012. 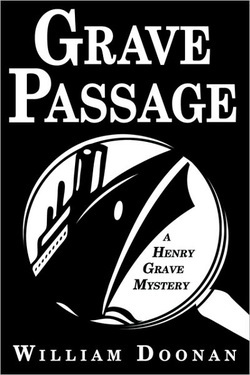 These three books recount the adventures of Henry Grave, an octogenarian detective who solves crimes on cruise ships. 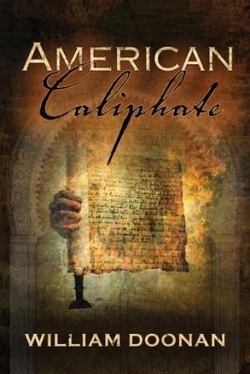 Doonan's archaeological mystery, American Caliphate was published in 2012 by Oak Tree Press. Henry Grave is an investigator for the Association of Cruising Vessel Operators. A World War II P.O.W., Henry is as cunning as he is charming, and at 85 years of age, he fits right in with his fellow passengers. At 1200 feet long, the cruise ship Indulgence is the largest in the world. Accommodating 5400 passengers and 2100 crew members, she is nearly as populous as the Pacific island nation of Nauru. At 226,000 tons, she weighs as much as four and a half Titanics. Indulgence is anchored off Helsinki, Finland, preparing to take on passengers for her inaugural voyage when Henry comes aboard. Indulgence is one day old, and nobody has yet been murdered on board. The same could not be said about day two. With the help of an Arabian prince, a voodoo priest, and a displaced band of hunter-gatherers, Henry draws on skills honed in a Nazi prison camp to track down a killer who might have his own reasons for taking this particular cruise, reasons unrelated to the sumptuous meals, delightful shipboard activities, and exciting ports of call. Archaeologists Jila Wells and Ben Juarez are not thrilled at the prospect of returning to Peru; the ambush that nearly cost Jila her life still haunts her. But the ruined pyramids at Santiago de Paz hide an important document that would shock the Islamic world. Professor Sandy Beckham is assembling a distinguished team to dig quickly through the pyramid complex, following clues found in the diary of a wealthy Muslim woman who lived in Spain five centuries ago. With only days until their final post, the passengers of the Contessa Voyager learn that their guest lecturer, an ex-F.B.I. profiler, has been found hanging from the ship's rock-climbing wall. Suddenly their balmy, carefree idyll on the Caribbean is fraught with danger and anxiety. Will someone else be next? What can the shipping line do to ease the passengers fears? Clearly, this is a job for Henry Grave, a professional maritime detective. Join him as he helicopters aboard to solve the crime. His methods and style are unusual, and guaranteed to keep you laughing as you follow hum from one hidden clue to the next. Henry Grave is a senior investigator for the Association of Cruising Vessel Operators. A World War II P.O.W., Henry is as cunning as he is charming, and at 84 years of age, he fits right in with his fellow passengers. The cruising yacht Vesper is anchored off the Greek island of Thera, in the caldera of an ancient volcano, as Henry comes onboard. An Egyptian federal agent was onboard to guard a valuable Minoan cup, but the agent was murdered and the cup, stolen. With the help of a Nicaraguan soap opera star, a New Age spiritualist, and a blind pickpocket, Henry draws on skills honed in a Nazi prison camp to track down a killer who might have his own reasons for taking this particular cruise, reasons unrelated to the sumptuous meals, delightful shipboard activities, and exciting ports of call.